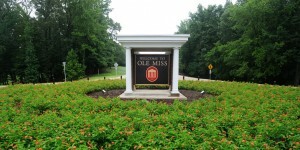 This short course on issues related to contracts is designed for individuals who have been delegated contractual authority for the University of Mississippi — in other words, employees who have been given the authority to sign contracts on behalf of the University that bind the University to pay money or perform certain acts. With this authority comes responsibility: If you have contractual authority, you must not only read the contracts you sign, you must understand the provisions in the contract. AND, sometimes you must ask that provisions in a contract be added, deleted, or modified.